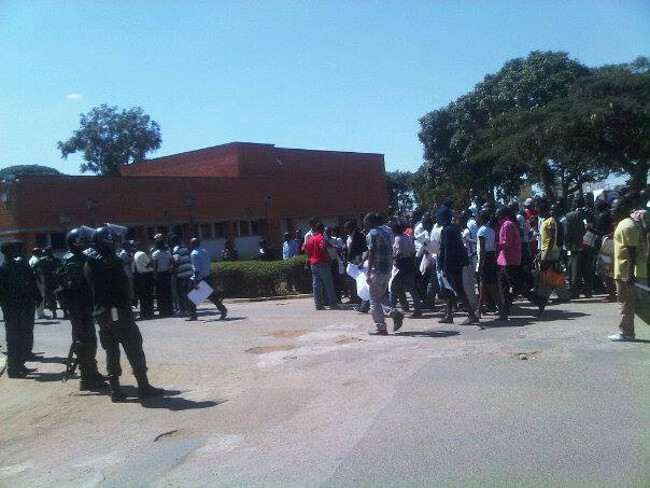 Following the removal of subsidies on fuel and mealie meal, with the alleged justification of increased fuel pump price by the government, there has been an outcry from the many Zambians including us the students of the University of Zambia. This is simply because it is us, the ordinary Zambians that suffer the effects of such decisions. Firstly, the hiking of the fuel prices which has resulted into increased bus fares. Just here in Lusaka, bus drivers have increased bus fares with immediate effect on all routes by 15 per cent in order to cushion them against increase fuel prices. In the agriculture sector, this rise in fuel prices will mean that the cost of transportation of both farming inputs and output will change and thereby trigger manufacturing production costs to be adjusted upwards. This will lead to a rise in the inflation levels in the country, and further deteriorate the little incomes that the common citizen earns. Thirdly, the prices of mealie meal have also shot up. Another potential impact is on both domestic and foreign trade, where the country may be put in a disadvantaged situation especially when it comes to competing favourably in the regional market-the country may also fail to compete favourably in regional trade through the Common Market for Eastern and Southern (COMESA) customs union because of the high costs that will come with exporting of finished goods to other countries in the region. The hike will also negatively affect economic activities resulting from reduced business due to high prices of acquiring and transporting of raw materials in and outside the country. And mention must also be made that with the increased cost of our export prices, automatically this will trigger the deterioration of the exchange rate and the value of our currency will continue to be weaker and weaker. Ultimately, we will see a deterioration of the GDP and Balance of Payments for our country. We all understand the spiral effect of the removal of subsidies on the many households in the country. The aforementioned are just a few from the many negative effects that the country may be plunged into if this issue is not addressed with the seriousness it deserves. The 2013 budget theme was “Delivering Inclusive Development and Social Justice” and this theme cannot be achieved with such decions. The theme in this case becomes a misnomer. We therefore urge government to be fully responsive to the myriad needs of all Zambian people and fight poverty by avoiding such policy decisions that exacerbate the poverty levels that we are experiencing. We would like the government to look at the impact of removing these subsidies on the common citizen of this country. This policy is misplaced in terms of improving the welfare of the people. We therefore advise our policy makers to take a comprehensive approach when coming up with these policies before implementation, and thus we appeal to the government to reconsider this move.